Birds are among the most intricately patterned and ornate creatures on the planet so you’ll want to get a really good look. 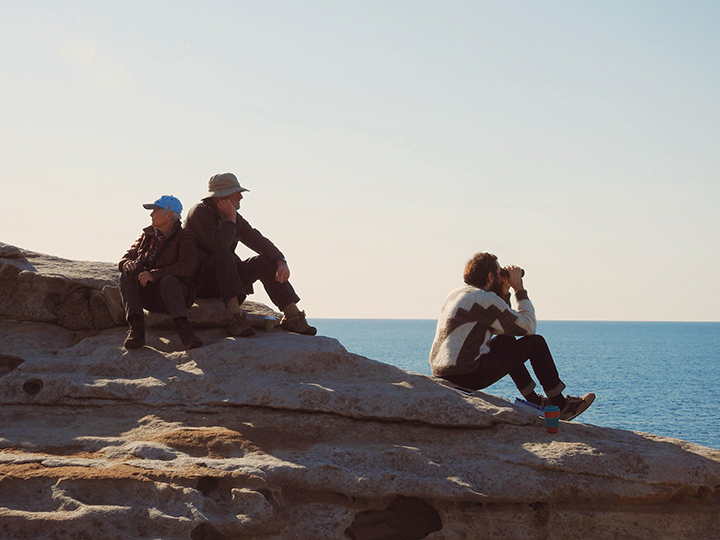 Begin borrowing grandad’s old explorer binos for your first outings or pinch some from a friend for a day or two. A good pair of binoculars can be a bit pricey, but it’s worth investing on a good pair rather than spending your dollars on tempting offers under $100. A crisp, sharp image will make a big difference to your birding experience. If you decide to invest make sure they’re waterproof and lightweight! For magnification, go for 8-power, which means objects you see through the binoculars are 8 times larger. Birders agree that a good combination of magnification and aperture for watching birds is 8×42. While enjoying an outing in search of your favourite birds, you will want to identify and learn a thing or two about your locals. There are several bird guides you can find in secondhand bookshops, local shops or online. 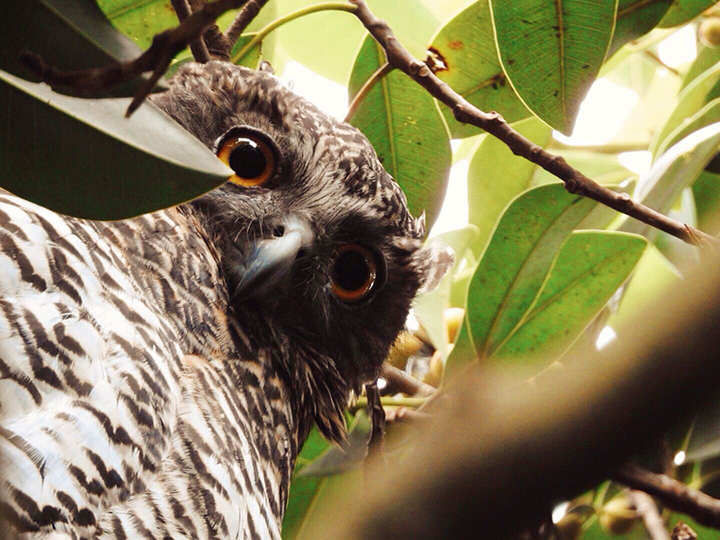 We love the Simpson and Day Field Guide to the Birds of Australia. You can also find more specific books, such as guides about shorebirds if you spend a lot of time by the sea. To quick search a bird by name and call you can carry a bird guide around in your pocket with The Michael Morcombe and David Stewart eGuide to Birds of Australia App. It’s $29.99 but if you’re just starting you can download a FREE light version. Just avoid playing the call while near any birds as it disrupts their natural behaviour and they can get very agitated and confused! Where to go? You can start birding in your own backyard, your local park or visit a National Park. You’d be surprised how many birds we walk past everyday without even noticing. You don’t need to travel far, but you can make a day out of it to immerse yourself in the experience. Live in Sydney? 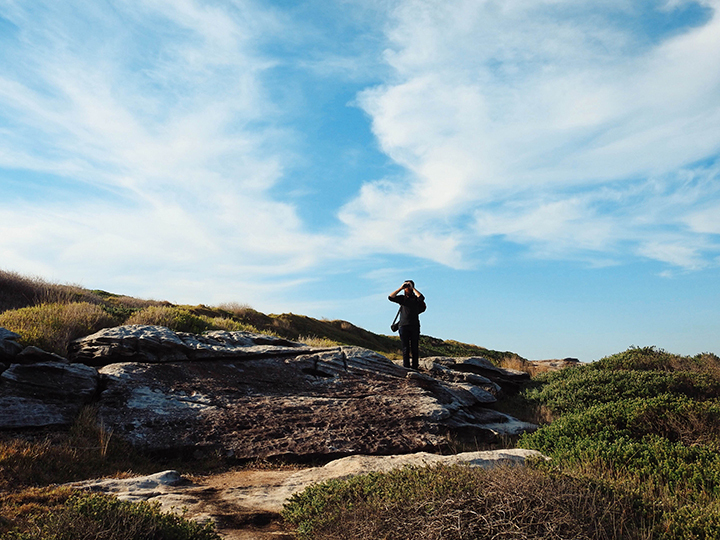 Visit Royal National Park, Lane Cove National Park, check for albatrosses off the coast of Maroubra, visit Centennial Park or even Olympic Park… too many good options! Birds live in specific habitats, prefer certain trees and have particular habits. Learn about where they live, their migration routes, what they eat and you’ll be off to a good start. One of the best parts of birding. Since most trips are done early in the morning, you get to stop for a cuppa and sit with nature. Bring a flask, your favourite brew and some yummo snacks. It doesn’t get any better than that. But please, don’t feed the birds! 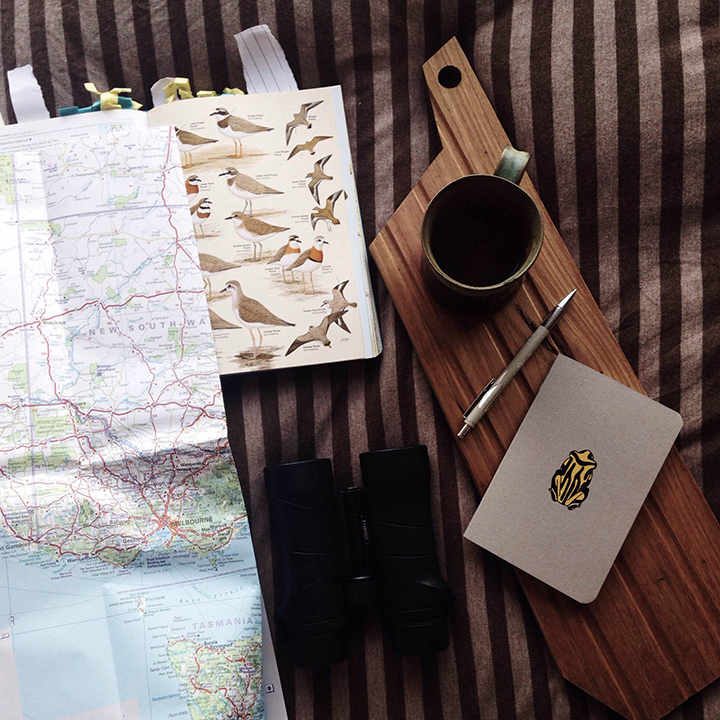 Take some wild notes and make a list of the birds you spotted to read more about them with your guide when you get home. 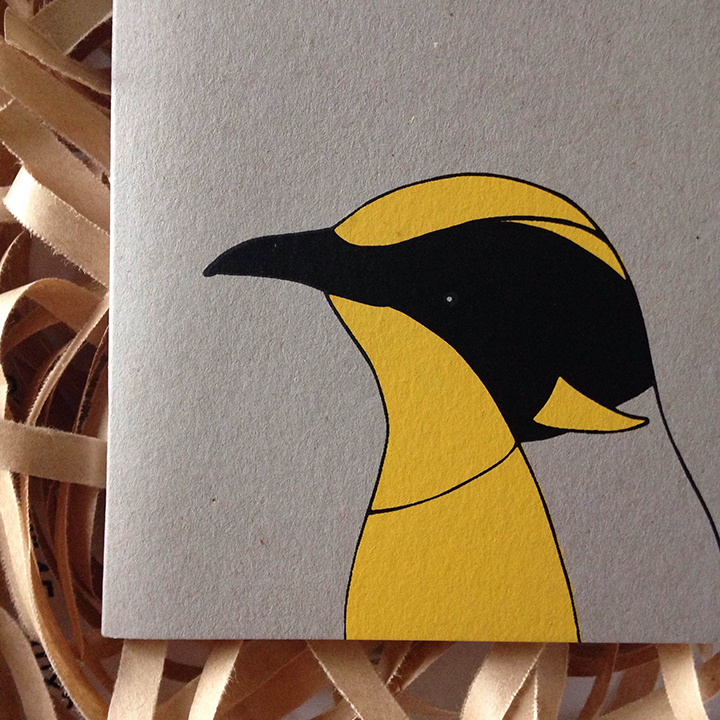 Grab a Helmeted Honeyeater notebook, the perfect outdoor companion for creating your lists and recording your escapes. What’s that? You had a fantastic time out in the wild and went crazy about your local birds and want to help your local wildlife? There are many ways on which you can make a huge difference. Volunteer to help with monitoring and research. Anyone with an interest in and some knowledge of birds can get involved. 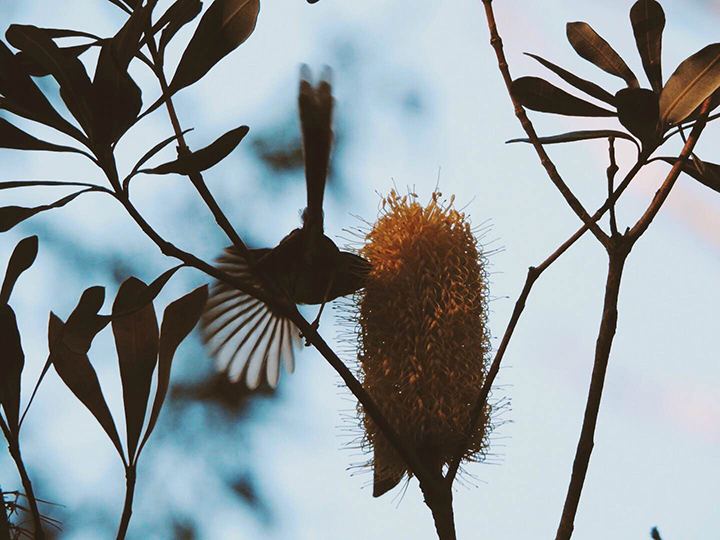 Go to http://birdlife.org.au/state-of-birds/ to register your interest, and BirdLife Australia will get in touch with opportunities in your area. And don’t forget to ditch your bank or super if they still invest in fossil fuels. Visit http://www.marketforces.org.au/ to see what your bank is up to and visit http://superswitch.org.au/ to switch to a clean super. Need to move a loan? Talk to http://www.thegoodmoney.org/ to get started!